Most real estate professionals agree that the residential-rental property "game" is still a good investment in these uncertain economic times. One of my friends at Johnson Capital recently announced their arranging of a ten (10) year, $4.9 Million loan on a 217 unit apartment building in Kansas City and expressed to me that they are very active in the residential-rental real estate market. As with any game, however, it is important to play by the rules. Real estate investors and landlords of commercial property should not lose sight of the fact that the rules regarding residential property leases are often more stringent than those in commercial property. Accordingly, residential leases must be drafted by those with expertise and knowledge of residential landlord-tenant laws. As a general rule, in commercial leases, judges most often defer to the language in the lease (absent illegal, unconscionable or non-discernable provisions), but in residential leases, judges normally defer to the “rules (law) of the game”, and the presumed, unequal bargaining positions of the parties. 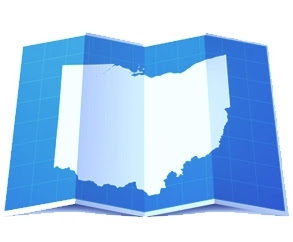 In Ohio, real estate practitioners must be familiar with the “State rule-book”, the Ohio Landlord-Tenant Act (Ohio Revised Code Chapter 5321); as well as the local rules (many municipalities in Ohio have landlord-tenant laws that supplement the Ohio Landlord-Tenant Act). 4) Tenant’s waiver of landlord’s obligations to keep the premises habitable, and other landlord obligations under Section 5321.04. According to Section 5321.15 of the Ohio Revised Code, landlords may not terminate utilities or services, exclude (without judicial process) the tenant from its premises, or make threats of any unlawful act against a Tenant, when attempting to recover possession. In other words, residential landlords may not utilize “self help” evictions. They must follow O.R.C. Chapter 1923 re: judicial eviction proceedings. In addition, landlords may not seize the furnishings or possessions of a tenant, for the purpose of recovering rent, unless ordered by a court. A landlord who violates Section 5321.15 is liable not only for damages to a tenant but also for reasonable attorney’s fees. Also, pursuant to Section 5321.02 of the Ohio Revised Code, Landlords may not retaliate against tenants by increasing rent, decreasing services, or threatening to bring an action because a tenant has complained of a building/housing/health or safety code applicable to the premises, or the tenant has complained that the landlord has violated its obligations to the tenant pursuant to O.R.C. Section 5321.04. Tenant may also recover actual damages and reasonable attorneys fees for a landlord violation of Section 5321.02. The Ohio Landlord Tenant Act also contains specific requirements and regulations regarding security deposits (Section 5321.08) and required obligations of the landlord, regardless of whether the same are contained in the Lease (Section 5321.04). There are also provisions in the Act pertaining to tenant obligations, but the majority of the Act is dedicated to protecting the tenant from the landlord, who typically has greater financial strength and bargaining position. Don't Forget the "Local Rules"
Many real estate practitioners believe that the Ohio Landlord Tenant Act is the only source of “rules” in Ohio pertaining to residential tenancies. They would be wrong, and may already have found that out “the hard way” (in court). Even though there is a statutory Landlord- Tenant Act in Ohio, there are also many court decisions that have interpreted the Act, and have established rules of law for residential landlord-tenant issues, not covered in the Act. Additionally, there are local and municipal ordinances that must always be reviewed and evaluated. This Ordinance requires any automatic renewal provision in a lease to be set forth in bold type and in conspicuous (twice the size of the other print) type if the lease is for six months or longer. This Ordinance creates a maximum monthly amount for any fee for late payment of rent. The maximum amount is the greater of $25.00 or five percent of the monthly rent. There are additional rules for subsidized housing. 3. The tenant has (and the Rental Agreement provides as such) reasonable access at all times to the meter or sub-meter. The Cleveland Ordinance also establishes a tenant remedy of “minimum statutory damages” (between $50 and $500) for certain landlord conduct that the Ohio Landlord Tenant Act prohibits, such as the knowing use of an unlawful lease term, unlawful entry of the dwelling unit, unlawful self-help eviction, and unlawful seizure of a tenant’s personal property. Knowing all the rules of the residential-related real estate game (state laws, local laws, and court decisions), is the only way to truly win. Otherwise, the penalties can be very costly. According to Ohio State Law is the landlord required to invest or place the security deposit into a savings account so that the tenant can gain interest on this money? Thanks for this enlightening statement, as landlord and tenant should abide all the occurring law regarding leasing & renting. What are the Ohio laws and local rules about a landlord or rental manager knowing of someone staying with you not on the lease in one unit and when moving to another unit the tenant asked before signing the transfer of lease to the new unit if he should be added and was told "no" then after months of being in the apartment the landlord/rental manager hands the tenant an 3 day notice to leave premises due to occupants other than permitted by lease. Can this legally be done by the landlord/rental manager?